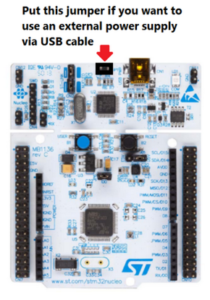 This is a new release of the P2P based on SPIRIT1, with the addition of the SSD1306 I2C Oled Display. For more technical info on P2P see here. 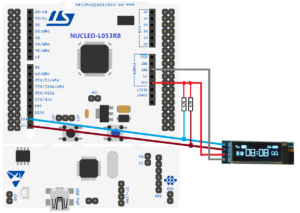 In this new release there is again the possibility to see the messages on a terminal emulation (we suggest TeraTerm) but also there is the possibility to see the RSSI (dBm) on the I2C Oled Display. This is useful for make a field test. If you don’t have a SSD1306 I2C oled display there is the possibility do disable it by change the line below from ON to OFF, in main.c file. Remember to change on both, TX and RX sw. 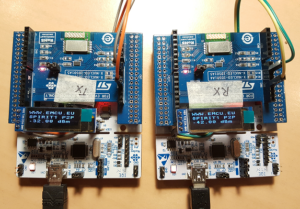 If you don’t use the oled display, you reduce the code size of your application.